Italians love to celebrate seasonal, truly fleeting produce. They have a knack for making simple seem special, and they know how to transform a small basket of vegetables into a feast for a crowd. 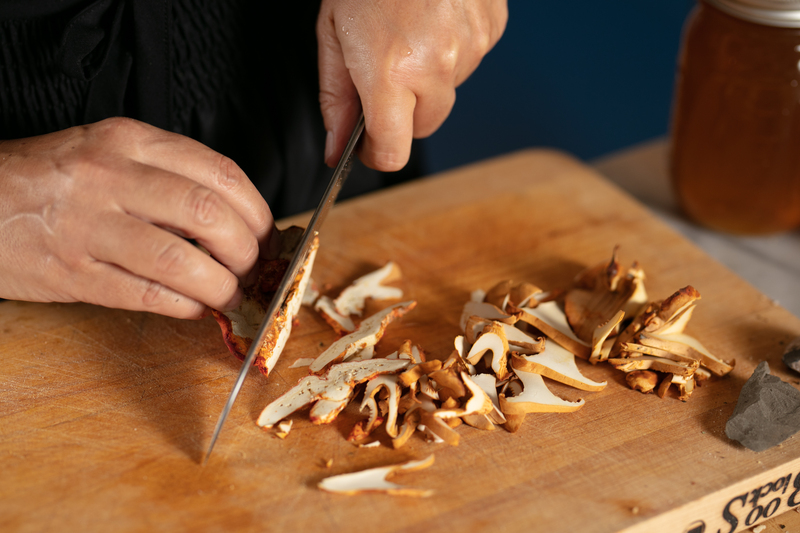 For the winter edition of Viola's seasonal course, she has chosen to focus on two modest, reliable residents of the produce shelves: mushrooms and winter squash. From soups to salads and everything in between, join our favorite Italian in the kitchen to learn how to make simple, varied and easy dishes. *Menu subject to change due to availability of produce. **To cook all of these dishes in the allotted time, recipes will be divided amongst small groups of students. Viola will teach the entire class the key techniques to understand these dishes.